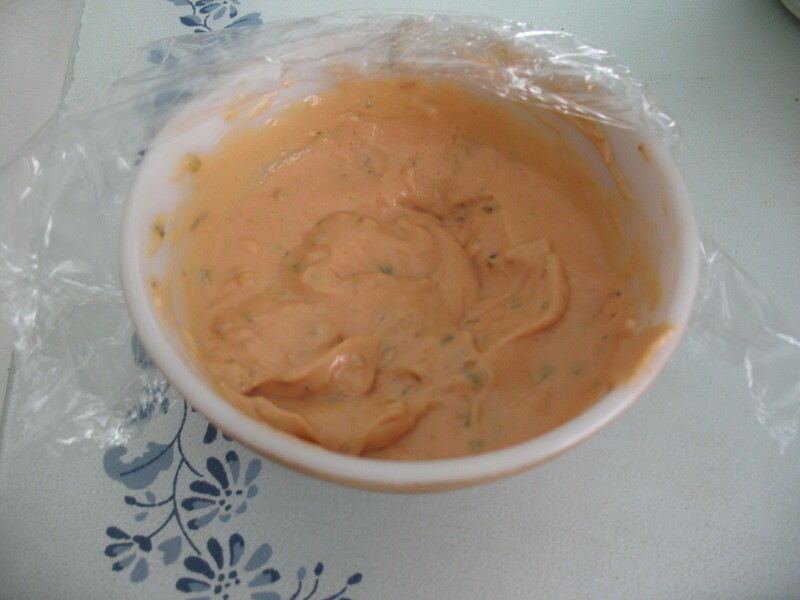 If you click on this link, you’ll find the recipe I used for it – super easy and quick after you’ve whipped up 2 cups of Thousand Island dressing. So far the dressing has lasted through four sandwiches, and I still have plenty of it left. I’m out of avocados though, so I’ll need to go back to the market on Saturday and get more – hopefully the dressing will keep in my refridgerator until then. And one last picture to the right of the reuben in a frying pan; I ended up using pumpernickel bread only because, though it was a complete toss up between rye and pumpernickel, they were putting out the darker bread when I happened to be at the grocer, and I decided that since I knew it was literally fresh out of the oven, I’d grab a loaf of that, since it was the same price and size as the rye they carry as well. Also, a word to the wise on the avocado – the recipe calls for half of one for this sandwich; I recommend toning it down a little. 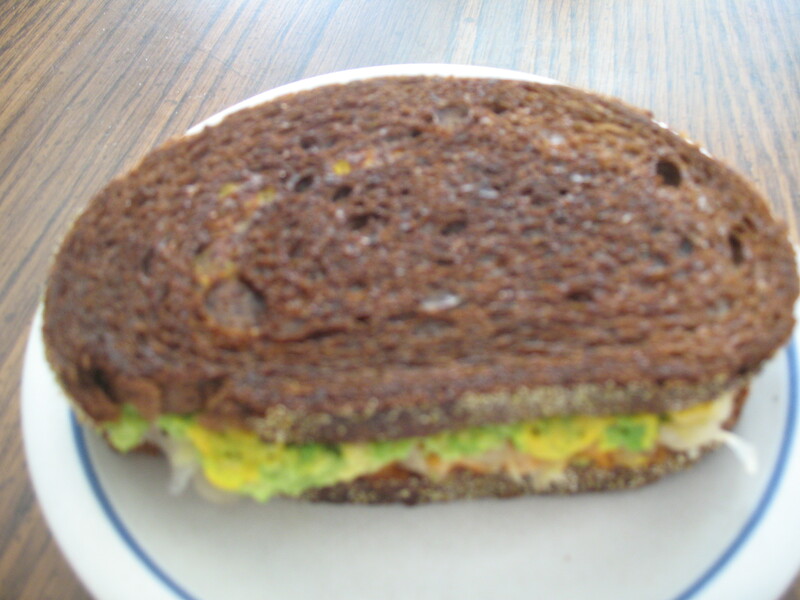 I used a whole half on my first sandwich and it was too much – I’ve made a couple since then, and have used anywhere between a quarter and a third of an avocado, and it was much better I thought. 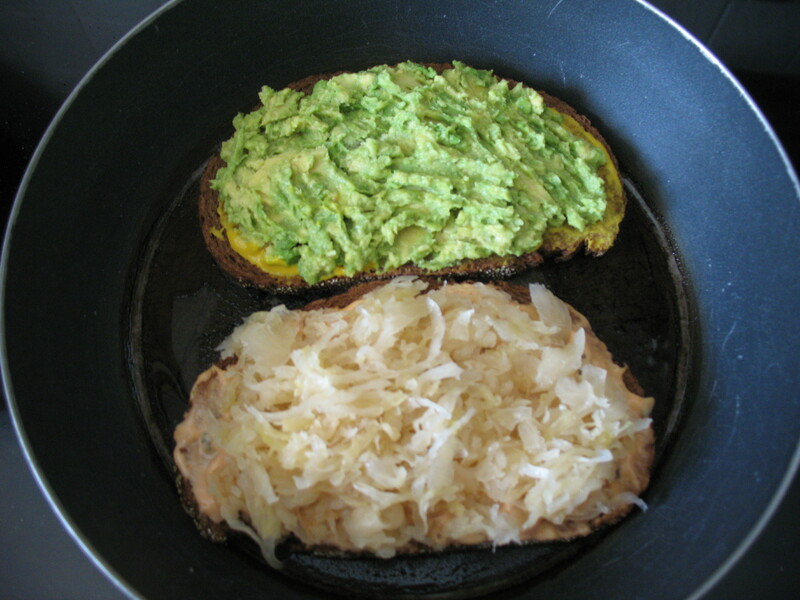 In my opinion, less is more in this case … (Unless your avocados are small; mine were on the larger side. Perhaps that’s why it seemed like there was too much?) Also, if you keep the heat down and move the bread a little as it cooks, you can avoid using oil altogether, if you want to – though the tiny bit of olive oil does make it brown more nicely. I tried it both ways and found I could sacrifice a few extra calories for the delicious crispiness of the bread when the sandwich was finished. Anyway; hope you end up trying it out – it really is absolutely delicious! Does the vegan mayo taste like miracle whip? Cause I prefer miracle whip over mayo.